Upper Deck and Canadian Tire have again joined forces to provide exclusive NHL cards to the collectors of Canada in 2018-19 O-Pee-Chee Coast to Coast Canadian Tire Hockey. The new OPC trading card set is a limited-time release at Canadian Tires locations where packs can be obtained for $1.99 CAD each as long as you make another purchase in the transaction. The promo set officially starts on April 12 and runs until May 9, 2019, or as supplies last. However, packs started showing up at the beginning of April. If this sounds familiar, it is because Upper Deck and Canadian Tire also teamed up to release 2017-18 Upper Deck Canadian Tire Team Canada Hockey. There is also the UD set at Tim Horton's that is very popular. 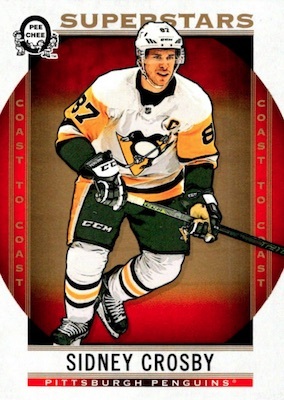 The 2018-19 O-Pee-Chee Coast to Coast Canadian Tire Hockey checklist features 100 cards in the base set, with another 50 Superstars short prints (SP), 40 Rookies super short prints (SSP), and 20 Legends super short prints (SSP). This brings the grand total to 210 cards in the main set. Full parallel editions for the 210-card set include Red and Polar Lights. 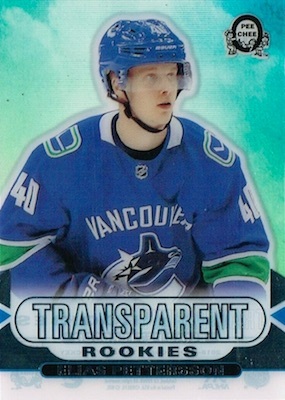 The insert selection in 2018-19 O-Pee-Chee Coast to Coast Canadian Tire Hockey is also fairly extensive. The 30-card Clear Cut All-Stars set covers the elite stars of today, while Clear Cut Rookies puts the focus on 10 up-and-coming players. 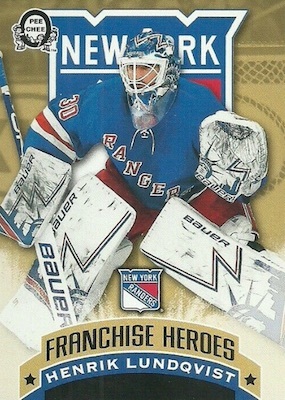 Franchise Heroes is a dual-subject set that highlights 20 notable pairings from the same team. 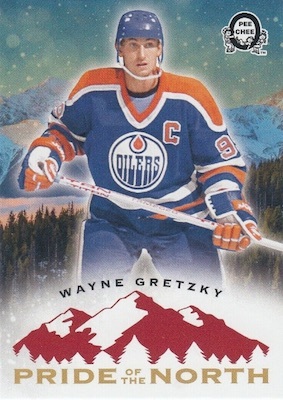 Celebrating the place known for hockey stars, Pride of the North is a 55-player set that includes 10 short prints (SP). 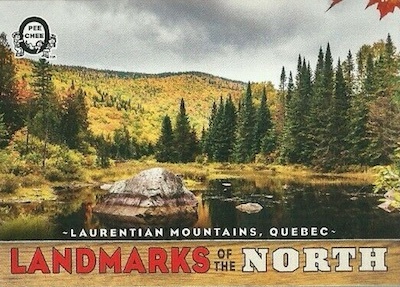 Collectors can also enjoy the Canadian scenery in Landmarks of the North. The insert offers cards for 40 popular sites around the country. 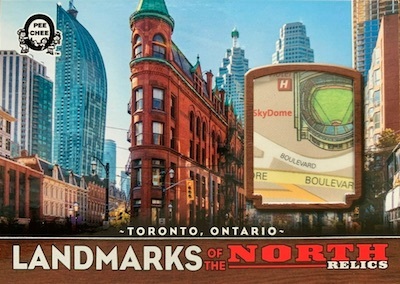 Acting as chase hits in the release are the Candian Vintage Map Relics (8 cards) and Landmarks of the North Map Relics (21 cards) cards. 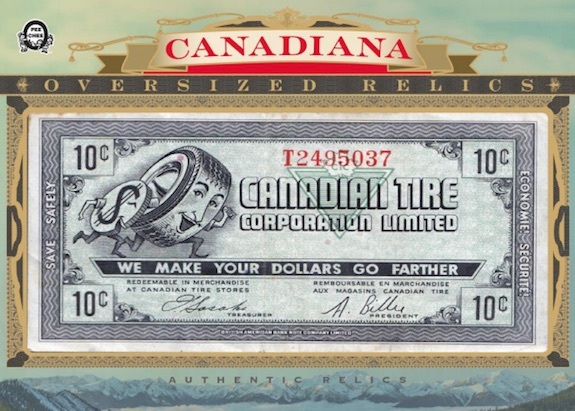 There are also redemptions for 5"x7" Oversized Relics that feature vintage Canadian Tire dollars. 18 19 Cdn Tire OPC Coast To Coast Landmarks OF The North Relics "Vancouver Map"
Shop available 2018-19 OPC Coast to Coast cards on eBay. 210 cards, including 110 short prints. PARALLEL CARDS: Red*, Polar Lights #/99 (1:48 packs). It appears that all cards #101-150 don't list Superstars on the variation version. 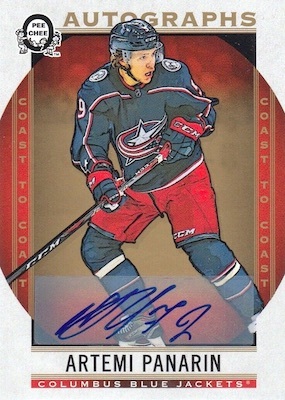 Buy 2018-19 OPC Coast to Coast autographs on eBay. 119 cards. Overall odds - 1:192 packs. SP Odds: Base - 1:384; Rookies - 1:445; Legends 1:2,304. 21 cards. Overall odds - 1:384 packs. 55 cards, including 10 short prints. Base odds - 1:9; SP odds - 1:80 packs. 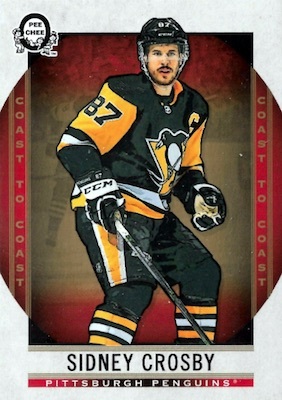 I’ve pulled a Mario Lemieux Iconic Captains card and it’s not in the checklist. Maybe an unannounced set. Not a big fan of the painting look card brands as I prefer real photos. I don’t live in Canada so I wouldn’t be getting my hands on this product anyways. Pulled another Easter egg an Elias Pettersson Can vs Swe Black. Pulled a variation card of Kopitar. Pulled a Kyle Connor auto. Never knew Yellowknife moved to Alberta. One of my Landmarks of the North is Yellowknife, Alberta!?!? Lol. How are people pulling cards if it comes out on April 12th? It is the same as the Tim Hortons cards where they show up much earlier than the official release date. 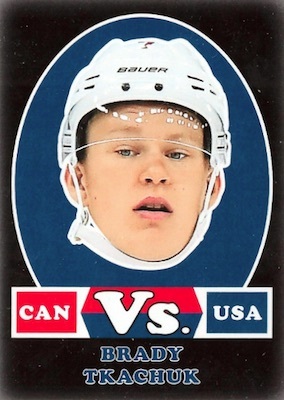 Do you know what card you can expect from the Canadiana Oversized Relics (RED Canadian Tire Dollars Redemption)? I added a mock-up image to the Product Details tab. Not as nice as the Team Canada set from last season but better looking then the O-Pee-Chee Base set. If you like some Canadiana product, overall it is a neat collection. Some nice acetate cards as well. As a Senators fan I wish Upper Deck would place some Daniel Alfredsson Legend cards in the list. this is an average product with less than remarkable inserts. 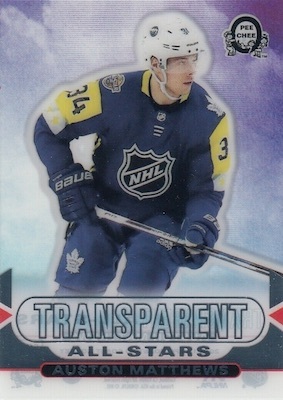 The only cards that flash out are the really rarer ones like the polar lights and clear cuts. even here the autographs fall short of the xpecvted quality. I got an autograph with a badly crooked sticker auto. all the regular inserts could have been part of the base set and you would not have noticed it. Compared to the homerun that was last year’s product. this one fall even short to tim horton’s products. I bet Tim Horton’s put pressure on UD to put out a DULL product for CT this years. I bought a box and from the get go of opening the first pack I was underwhelmed. Really nice inserts but they come to infrequently. An insert per pack (besides the Legends and Superstars) would make the product better, but at $2 a pack it’s hard to go wrong. I give it 4 stars!